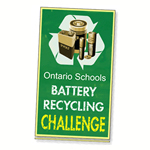 If you are a student and your school is participating in the Ontario Schools Battery Recycling Challenge, you can register to win some great prizes. 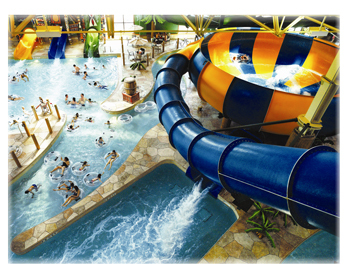 Chance to win a $50 Visa gift card or a family trip to Great Wolf Lodge! 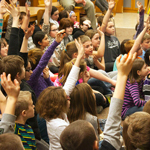 A parent or legal guardian will be required to register on behalf of a student. 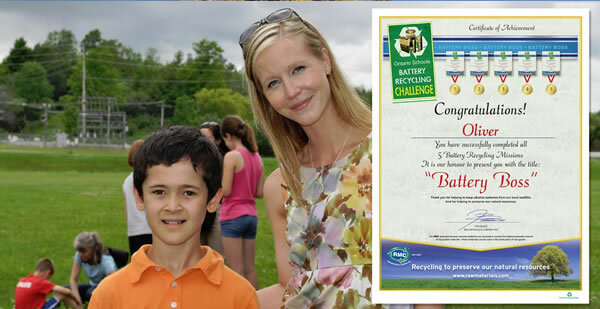 If your school is participating in the Ontario Schools Battery Recycling Challenge, you can sign up for a chance to win 1 of 10 $50 Visa gift cards or a family trip to Great Wolf Lodge in Niagara Falls! Simply register and complete a mission for a certificate. Complete 3 missions by December 7th, 2018 and your name will be entered into a prize draw to win 1 of 5 $50 Visa gift cards before the New Year. 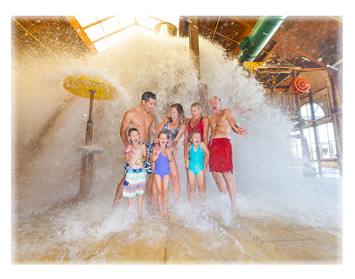 Complete all 5 missions by February 19th, 2019 and you'll have a chance to win a Family Trip to Great Wolf Lodge! 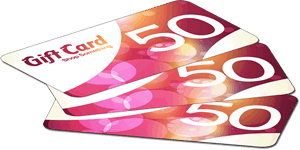 Complete all 5 missions before the end of the Challenge for another chance to win 1 of 5 $50 Visa gift cards during the final draw on April 19th, 2019! These are the current primary missions to choose from. You must be registered and sign-in to access the missions. Please read the Official Mission Rules. Mission 5: Conduct a Survey! Once you have successfully registered for the Student Missions, download your Student Checklist for Success! 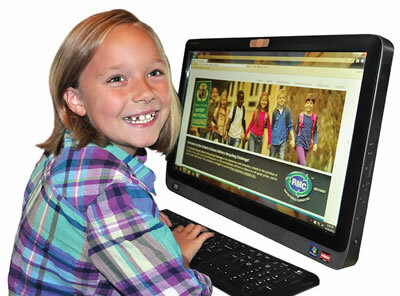 Point scores are recorded as an "estimate" when submitted through the online portal by a participating school. A score will only be recorded as "actual" when Raw Materials Company collects, sorts and processes full drums. At that point, RMC will adjust a school's point scores based on the actual weight. All final scores will be based on actual weight. For more information, please see our Official Challenge Rules. a share of the OSBRC Pledge Prize! 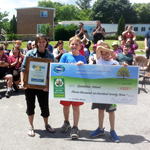 Every school that recycles 100% of their OSBRC Pledge will receive an equal share of the OSBRC Pledge Prize! 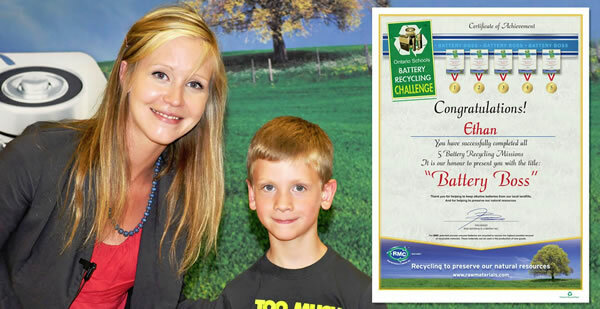 The school that recycles the most single-use alkaline batteries overall, will win this prize. 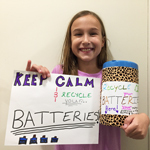 The school that recycles the most batteries per student/staff enrolled will win this prize. Do you have a story to share? 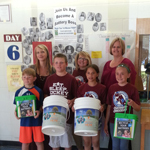 Is there someone or something at your school that is making a difference? Tell us about it! We'd love to hear your experiences and share your success story so that we can all learn from it! 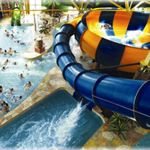 Nepean Student Wins the OSBRC Great Wolf Lodge Family Day Prize Draw! 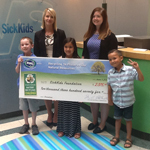 On February 20, 2019, the Ontario Schools Battery Recycling Challenge selected Ariela of St. Andrew school in Napean as the winner of the Great Wolf Lodge Family Day Prize Draw! 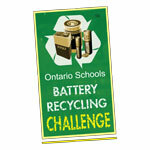 Would you like to read more Ontario Schools Battery Recycling Challenge featured stories? Click here!